A contract is an essential part of any business dealings , thus giving a formal shape to any deal or transaction in the business world. Without contract nothing stands enforceable as per the law which means the diminishing trust factors among the business partners and other stakeholder and thereby making the business environment unstable. A badly drafted contract is as good as no contract, here are some of the checklist for every legal team in world, which has to be strictly adhered to in order to draft a well drafted contract. 1.Preamble-: A carefully drafted preamble is a soul of a contract, basically a preamble describes the purpose of the contract and why it is there. 2.Parties-the names of the party and under what authority and place of parties should be described in order to bind the liabilities and fix the jurisdictional issues. 3. Definition for a technical contracts this part is essentials if contract does not contains commonly used terms. 4. Offer and acceptance- The basics of a contract, in which a party is offering something and other party is accepting the offer in clear ambiguous way. Because a contract is all about offer and acceptance. 5.Obligation- This part has to be in detailed form and should describe what parties are intended to do. 6. 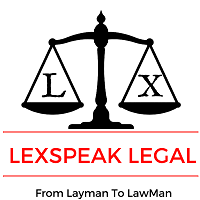 Condition- A condition precedent is an essential and effects the contractual relationship between the parties, it is on favorable conditions any obligation can be performed. 7. Security-: A sense of security between the parties is an essential part in case of a breach, other party can indemnify its losses through security a security can be any valuable property. 8.Indemnification-Liability of the parties in case of breach needs to be clearly defined. 9.Consideration- it describes how the payment to be made to a party who has made an offer and doing its obligation, the party needs to be compensated by the other party. 10.Force Majeure- what will happen if the contract fails due to impossible conditions like war, flood, or change in law. 12.Confidentiality and Intellectual property- if any information or any intellectual property is transferred from one party or the other it must be preserved from third party acquisitions. 13.Time period and penalty for delay- The time span if the contract has to be terminated within stipulated time has to be specified and in cases of delay penalty amount. 14 Default, termination, expiration- A contract has to be ended in a proper way this has to be specified as to how a contract is to be ended and how a notice to the other party regarding its expiration is to be given. These are some of the checklists, which every company has to keep in mind before drafting a contract. « Should he send back to custody again?